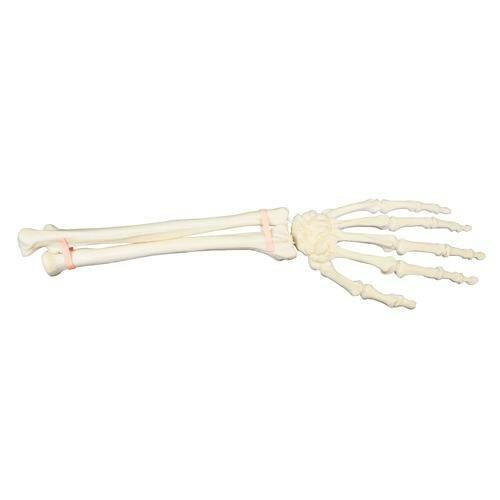 Left forearm and hand in three parts: Hand, ulna and radius. The ulna and radius are bound with elasticated bands and can be moved. The hand is connected to the forearm with elasticated cords.